Are the Obama administration's policy failures in the Middle East a random series of errors by an incompetent leadership, or does some grand idea stand behind the pattern? James Jeffrey, Barack Obama's former ambassador extraordinary and plenipotentiary to Iraq, has this to say about the administration's current record in the Middle East: "We're in a goddamn free fall." Count the mistakes: Helping overthrow Muammar Qaddafi in Libya, leading to anarchy and civil war. Pressuring Husni Mubarak of Egypt to resign, then backing the Muslim Brotherhood, leading now-president Sisi to turn toward Moscow. Alienating Washington's most stalwart ally in the region, the Government of Israel. Dismissing ISIS as "junior varsity" just before it seized major cities. Hailing Yemen as a counterterrorism success just before its government was overthrown. Alarming the Saudi authorities to the point that they put together a military alliance against Iran. Coddling Recep Tayyip Erdoğan of Turkey, encouraging his dictatorial tendencies. Leaving Iraq and Afghanistan prematurely, dooming the vast American investment in those two countries. As a man of the left, Obama sees the U.S. historically having exerted a malign influence on the outside world. And, most of all: Making dangerously flawed deals with the nuclear-ambitious mullahs of Iran. Is this a random series of errors by an incompetent leadership or does some grand, if misconceived, idea stand behind the pattern? To an extent, it's ineptitude, as when Obama bowed to the Saudi king, threatened Syria's government over chemical weapons before changing his mind, and now sends the U.S. military to aid Tehran in Iraq and fight it in Yemen. But there also is a grand idea and it calls for explanation. 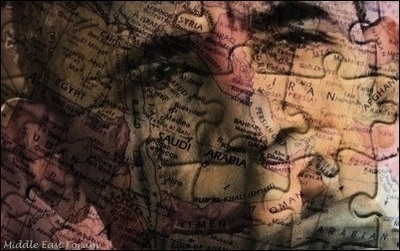 As a man of the left, Obama sees the United States historically having exerted a malign influence on the outside world. Greedy corporations, an overly-powerful military-industrial complex, a yahoo nationalism, engrained racism, and cultural imperialism combined to render America, on balance, a force for evil. 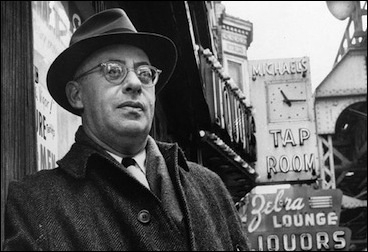 Saul Alinsky, the community organizer par excellence, on Chicago's south side in 1966 (the author of this article met him around this time). Being a student of community organizer Saul Alinsky, Obama did not overtly proclaim this view but passed himself off as a patriot, though he (and his charming wife) did offer occasional hints of their radical views about "fundamentally transforming the United States." On ascending to the presidency, Obama moved slowly, uneager to spread alarm and wanting to be reelected. By now, however, after six full years and only his legacy to worry about, the full-blown Obama is emerging. The Obama Doctrine is simple and universal: Warm relations with adversaries and cool them with friends. Several assumptions underlie this approach: The U.S. government morally must compensate for its prior errors. Smiling at hostile states will inspire them to reciprocate. Using force creates more problems than it solves. Historic U.S. allies, partners, and helpers are morally inferior accessories. In the Middle East, this means reaching out to revisionists (Erdoğan, the Muslim Brotherhood, the Islamic Republic of Iran) and pushing away cooperative governments (Egypt, Israel, Saudi Arabia). Of these actors, two stand out: Iran and Israel. Establishing good relations with Tehran appears to be Obama's great preoccupation. As Michael Doran of the Hudson Institute has shown, Obama during his entire presidency has worked toward rendering Iran what he calls "a very successful regional power … abiding by international norms and international rules." Contrarily, his pre-presidential friendships with truculent anti-Zionists such as Ali Abunimah, Rashid Khalidi, and Edward Said point to the depth of his hostility toward the Jewish state. The Obama Doctrine demystifies what is otherwise inscrutable. For example, it explains why the U.S. government blithely ignored the Iranian supreme leader's outrageous "Death to America" yelp in March, dismissing it as mere domestic pandering, even as Obama glommed onto the Israeli prime minister's near simultaneous electoral campaign comment rejecting a two-state solution with the Palestinians during his term of office ("we take him at his word"). The doctrine also offers guidelines to predict possible developments during Obama's remaining tenure, such as: Wretched P5+1 deals with Iran compel Israel's government to attack Iranian nuclear facilities. Gentle policies toward Damascus clear the way for the Assad regime to re-extend its power. Ankara chooses to provoke a crisis in the eastern Mediterranean over Cypriot gas and oil reserves. The great question ahead is how, in their wisdom, the American people will judge the Obama Doctrine when they next vote for president in 19 months. Will they repudiate his policy of shuffling and contrition, as they comparably did in 1980 when they elected Ronald Reagan over Jimmy Carter? Or will they choose four more years of it, thereby turning the Obama Doctrine into the new norm and Americans into European-style remorseful masochists? Their verdict in 2016 has potentially world-historical implications. Related Topics: US policy, War on terror | Daniel Pipes receive the latest by email: subscribe to the free mef mailing list This text may be reposted or forwarded so long as it is presented as an integral whole with complete and accurate information provided about its author, date, place of publication, and original URL.